Perspectum Diagnostics, a U.K.-based company has received a new grant to develop technology that will improve the diagnosis and monitoring of Type 2 diabetes. 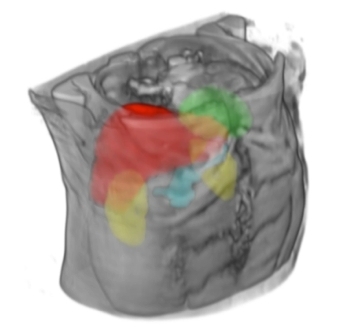 The award, an Innovate UK’s grant, will see Perspectum stratify patients with Type 2 diabetes using quantitative MRI assessment of associated organs, including the liver, kidneys, pancreas, spleen, and aorta. Combining these biomarkers into a medical device will support clinical management based on a single, cost-effective MRI scan, according to the company. Building on Perspectum’s existing in-house capabilities, this project will provide disease stratification, improve patient compliance, reduce NHS costs, and enable precision treatment. An MRI scan highlighting different organs to enable identification of Type 2 Diabetes complications. Image courtesy: Perspectum Diagnostics. This multi-organ project was preceded by Perspectum’s MRI-based research using the UK Biobank, which highlighted the significant burden of unrecognized liver disease, such as NAFLD, which is three times more prevalent in Type 2 diabetes. Diabetes is a global pandemic, of increasing prevalence. Affecting multiple organs, it can currently only be treated through complex clinical management – and diagnosis is difficult. At present, care for diabetic patients is based on routine biochemical tests that independently monitor glycaemic control, cardiovascular risk, chronic kidney disease, and liver health. In order to tailor effective treatment, diagnosis must account for the presence or absence of multi-organ complications. “Screening for liver and cardiovascular complications is still sub-optimal and this multi-organ assessment in diagnosis and treatment of Type 2 diabetes allows us to better understand the prevalence and progression of the disease as well as the impact of different treatments,” commented Professor Dan Cuthbertson, a consultant diabetologist at University Hospital Aintree, who is leading the Liverpool component of the research project. “It hopefully will lead to better treatment stratification,” he added.